I have been transforming spaces for the last 15 years and have a host of wonderful sources for all of the products and services you will need to make your dreams come true. I will listen to your needs, design your space, assist you with all major choices, and coordinate all aspects of your project to make sure you achieve the results you are striving for without the headaches and within your budget. I take great pride in what I do. Happy clients mean a happy designer (me!). Please contact me to schedule a consultation and ask for referrals. My business is based on satisfied customers and I want to add your name to the list. KITCHENS Whether your dream kitchen is traditional, modern or anything in between, we will be there to create a functional, unique space that you and your family will enjoy for years. STUNNING BATHROOMS Looking for a spa bath or a luxury space to soak, shower or just start your day? Merri interiors is in the cutting edge of new products & style trends. Making a space to suit your needs is what we do. While a picture may be worth 1000 words, one visit to our showroom is worth 1000 pictures. Before deciding on any design of Kitchen or Bathroom, be sure to come into Majestic Kitchens & Baths, where our experienced designers will put together the kitchen of your dreams. With over 50 years experience in the Kitchen and Bathroom Design industry, a 9000 square foot showroom, and 100’s of Kitchen and Bathroom models on the floor, Majestic is the leader for all your design needs. 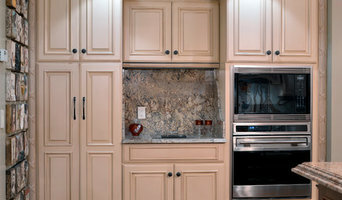 We carry many cabinet lines and offer many different design options to suit your lifestyle and budget. We have the latest in three-dimensional computer-aided design, incorporating all of the various combinations of cabinetry and finishes available, which allows our clients to see the how the finished design will look before any work commences. If you are looking for unquestioned integrity, superior design, up-to-date product selection, and friendly professional service in complete Kitchen and Bathroom creation, you can find it all at Majestic Kitchens & Baths. With over fifteen years of experience in kitchen and bath design, we have a proud track record of creating rooms that truly exceed clients expectations. Always inspired by our area’s wide variety of architectural styles, we embrace the challenge of customizing each design with an eye toward the overall style of the home. From new construction to historic homes, small spaces and large, our goal is to enhance existing architectural elements, maximize function and fulfill the unique requirements of each homeowner. At the start of each new and exciting project, our primary focus is to tap into the needs of the client. Lifestyle, budget, and individual tastes are all carefully considered as we develop a plan that will enhance your quality of life. While designing the space and providing quality cabinetry is our primary service, we’ll also guide you in your choices of countertops, tile, appliances, lighting and furnishings—all of the elements of a beautiful design scheme. We’ll coordinate the entire renovation process with one of our construction partners or your own contractor. Continually on site to see that your dream becomes a reality, we are committed to providing the highest level of personalized service. Alba Kitchen and Bath is your one stop shop for all your kitchen and bathroom needs; kitchen cabinets - framed (American style), frame-less (European style), countertops - (granite, quartz), vanities, tiles and much more. It is our mission to make building and decorating your home as fun and enjoyable as possible. Because of our extensive industry experience and contacts, we are able to provide deep discounts on a whole range of attractive products. 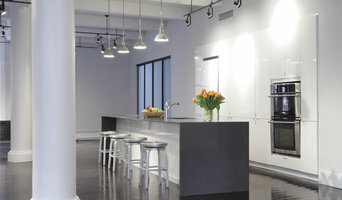 Welcome to Kitchen Expressions - New Jersey's Premier Kitchen, Bath and Custom Cabinetry Design/Build Studio. We design and install custom kitchens, basements, baths, built-ins, wall units, closets, furniture, home offices, laundry rooms, fireplace surrounds, mantels and more. Our mission is to provide our clients with an incredible renovation experience - from initial consultation through finished project, Kitchen Expressions works hard to make sure your project receives the dedicated attention it deserves. Experience outstanding design, incredible craftsmanship and extraordinary service at its best! We are conveniently located in the heart of downtown Summit, NJ and service clients throughout the tri-state area and beyond. Feel free to reach out to us, we would love to hear from you! Town & Country Kitchen and Bath is a kitchen & bath design studio located in Red Bank, New Jersey, specializing in custom cabinetry. Our award winning team of designers are passionate about style and function for every bespoke kitchen and bathroom we expertly create. Specializing in hand-made, custom-fit and semi-custom cabinetry, our New Jersey based craftspeople can beautifully transform every aspect of your homes' most utilized rooms. 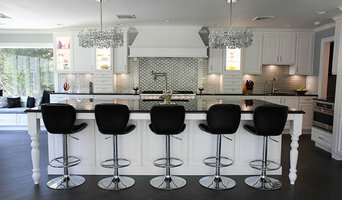 From concept to completion, Ginny Padula, owner of Town & Country Kitchen and Bath, has been designing kitchens and interiors for over 20 years and is an affiliated member of the NKBA and ASID. As a Designer, she is inspired by her client’s lifestyle & taste. At the beginning of a project, research and inspiration by her and her client are used to create the fundamental components of the design and assure the living space of their dreams. With a strong presence in the design community, Ginny leads a knowledgeable, expert team of creative professionals. When you choose Town & Country as your partner in design, you are aligning yourselves with a full-service design studio and showroom. You will meet a designer who will help you discover the ideas, desires, and styles that will transform your spaces into meaningful, functional, and beautiful elements of your lifestyle. Their vast experience guarantees timely, gorgeous, unique to you results, respectful of your budget. Steven Marc Wasserman Interior Design provides interior planning & design for commercial and residential clients. Steven is formally educated in both theatre design and interior design and is well-rounded in every style of interior design. Highly recommended by his clients, he has projects throughout the United States. He provides attentive service to his clients both locally as well as from a distance by visiting their homes and corresponding regularly. Steven has great respect for the set budget for his projects. He will shop all options from retail stores to high end showrooms to receive the best discount which he extends directly to his clients. Steven is a Allied Member of ASID, and has been featured in various publications.